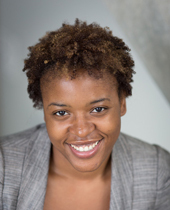 Meseret Hailu, Ph.D., is a postdoctoral researcher at The Ohio State University. 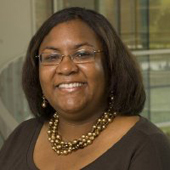 Monica F. Cox, Ph.D., a native of Newville, Alabama, is the Director of the International Institute for Engineering Education Assessment (I2E2A), is an Associate Professor in Purdue University’s School of Engineering Education (ENE), is a Visiting Professor at the Universidad de las Americas, Puebla, Mexico (UDLAP), is the Interim Director of the Indiana Louis Stokes Alliance for Minority Participation, and is the Inaugural Director of Purdue’s College of Engineering’s Leadership Minor. 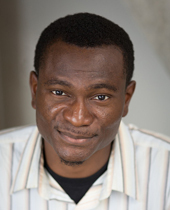 Amadin Osagiede, a native of Londonderry, New Hampshire and originally from Edo State, Nigeria, is a Master of Business Administration (MBA) candidate at Purdue University’s Krannert School of Management. He received his Bachelor of Science degree in civil engineering from the University of New Hampshire, a Master of Science degree also in civil engineering from Purdue University, and he is a graduate research assistant for Purdue’s College of Engineering’s Engineering Leadership Minor. 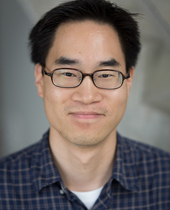 Benjamin Ahn, Ph.D. is an Assistant Professor in the Department of Aerospace Engineering at Iowa State University. He graduated with a Ph.D in the School of Engineering Education at Purdue University. He received his B.E. in Aerospace Engineering from the University of New South Wales Australia, and a M.S. in Aeronautics and Astronautics Engineering from Purdue University. My faculty research centers on developing engineering students’ knowledge, skills, and attitudes through high-quality engineering education experiences. I use both quantitative and qualitative research methods to advance (1) the adoption of innovative pedagogy and technology to improve students’ ability to learn technical knowledge and master problem solving skills, (2) the development and assessment of professional skills in engineering students, and (3) the use of mentoring to develop students’ inquiry, investigation, and discovery skills during their research experiences. Contact Dr. Ahn here. Catherine G. P. Berdanier, Ph.D. is an Assistant Professor of Mechanical Engineering at The Pennsylvania State University. A recent NSF CAREER award recipient, she graduated in 2016 with a Ph.D. in Engineering Education from Purdue University. She holds a B.S. in Chemistry from the University of South Dakota and an M.S. in Aeronautical and Astronautical Engineering from Purdue University. At Purdue, she was a part of the Integrative Graduate Education and Research in Magnetic and Nanostructured Materials (IGERT-NMN), a collaboration between Cornell University and Norfolk State University. She also worked with another IGERT initiative on Sustainable Electronics in collaboration with Tuskegee University. 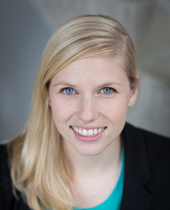 Catherine was an active member in Purdue University’s Women in Engineering Graduate Mentoring Program. Read more about her research laboratory here. Diana Bairaktarova, Ph.D., is an Assistant Professor of Engineering Education in the College of Engineering at Virginia Tech. She completed her Ph.D. in Engineering Education from Purdue University with a dissertation focused on the efficacy of mechanical objects in engineering learning. Diana holds B.S. and M.S. degrees in Mechanical Engineering from Technical University in Sofia, Bulgaria and an MBA degree from the Hamline School of Business, St. Paul, Minnesota. 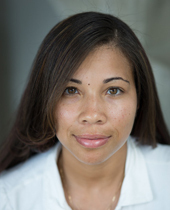 Diana has over a decade of experience working as a Design Engineer. Contact Dr. Bairaktarova here. JD McClurkin, MSABE, is a Ph.D. Candidate at Purdue University in Agricultural and Biological Engineering. She received her Bachelor of Science degree in BioEnvironmental Engineering from North Carolina A&T State University and M.S.A.B.E. in Agricultural and Biological Engineering from Purdue University. While in the doctoral program, she served as a research assistant on a project understanding Shelf-Life Improvement of Distillers Wet Grains with Solubles (DWGS). Jeremi S. London is a Ph.D. candidate in the School of Engineering Education at Purdue University. In 2008, she earned a Bachelor of Science in Industrial Engineering from Purdue, and a Master of Science in Industrial Engineering from Purdue in 2013. Her research interests include: the use of cyberlearning in undergraduate engineering education; characterizing the impact of federally funded projects; assessing the impact of cyberlearning; information alignment within the context of undergraduate STEM education; and exploring ways computer simulations can be used to understand education systems. 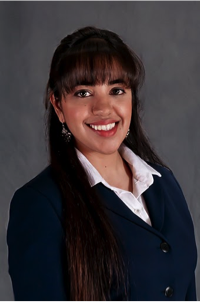 In addition to conducting mixed methods research in formal academic settings, she has worked in various Industrial Engineering roles at Anheuser-Busch, Inc., and General Electric-Healthcare. Finally, she continues to conduct education policy research as part of her role in the Division of Undergraduate Education at the National Science Foundation. 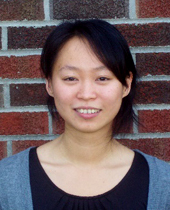 Jiabin “Emily” Zhu, Ph.D., is an Associate Professor at Shanghai Jiao Tong University. She received her Bachelor of Science degree in Physics from East China Normal University and her Master of Science degree in Optics from the Chinese Academy of Sciences. She received a second Master’s degree in Biomedical Engineering from Purdue University. In the spring of 2013, she obtained her Ph.D. from the School of Engineering Education at Purdue University. While in the doctoral program, she served as a research assistant in multiple projects on the training and mentoring of engineering doctoral students. Her primary research interests relate to epistemological development of college and graduate students, comparative study methods and frameworks in engineering education, global engineering and mentoring of engineering graduate students. Nathan McNeill, Ph.D., worked as a Graduate Research Assistant at i2e2a (formerly the Cox Research Group). He currently is a postdoctoral associate in the Department of Materials Science and Engineering at the University of Florida where he is studying the factors that contribute to success in open-ended problem solving. He graduated with a Ph.D. in engineering education from Purdue, a M.S. in mechanical engineering from The Georgia Institute of Technology, and a B.S. in engineering from Walla Walla University. Before entering graduate school, Nathan spent six years working for a small engineering firm designing equipment for the aggregate and mining industries in western Canada and the United States. He has also spent a summer doing thermodynamic studies of robotic petroleum drilling tools for Schlumberger at their product development centre in Paris, France. Nathan has experience teaching high school physics, elementary school science, and English to young professionals in China. As a Ph.D. student at Purdue University, Nathan worked with Dr. Cox on developing a direct observation instrument to collect data on the implementation of non-traditional teaching methods in laboratory classes taught by graduate teaching assistants. His dissertation is titled Global Engineering Education Programs: More Than Just International Experiences. After graduation, he worked as a postdoctoral researcher at the University of Florida. He is currently an Instructor in the Department of Mechanical Engineering at Colorado Mesa University. Nikitha Sambamurthy is a Ph.D. student in the School of Engineering Education at Purdue University. Her current research interests include understanding the best practices and components of blended learning that work well for engineering classrooms and industry, as well as how gamification can be implemented in engineering industry and academia to transfer engineering knowledge and skills. In addition to working on the Global Real-Time Assessment Tool for Teaching Enhancement (G-RATE), she is a member of the development team for Purdue University’s First-Year Engineering Program, where she helps blend the classroom by creating learning modules for use in the Ideas-to-Innovation courses (ENGR 131/132). Outside of her research, Nikitha is an active member of Purdue University’s chapter of Asha for Education, and spends her free time designing and creating educational games for mobile devices. 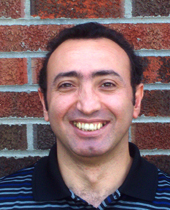 Osman Cekic, Ph.D., worked as a Postdoctoral Research Assistant at i2e2a (formerly the Cox Research Group). He obtained a Ph.D. in higher education and student affairs from Indiana University, a master’s degree in secondary school administration from the University of Arkansas at Fayetteville, and a Bachelor’s degree in educational administration and planning from Ankara University in Turkey. His dissertation title is Responsibility Center Management and Cultural Change at a Public Higher Education Institution. He previously worked at the Indiana Education Policy Center and as graduate assistant to the vice president for enrollment services for Indiana University. Osman’s research interests include higher education policy, finance and the linkages between budget and organizational culture, and college student retention. In his previous appointments, Osman has worked with the Integrated Postsecondary Education Data System (IPEDS) and finance and financial aid data, and he continues to explore these subjects. Currently, Dr. Cekic works as a research assistant at Canakkale Onsekiz Mart University, Faculty of Education in Turkey, where he continues to explore issues related to science and engineering at the graduate level.